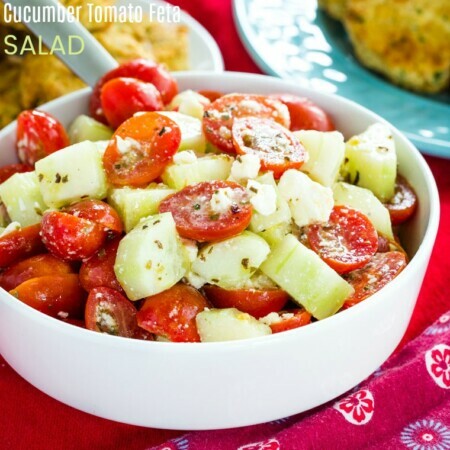 A healthy side dish recipe with plenty of cheddar cheese to make the whole family happy. Plus it's packed with protein and whole grains, and it's gluten free. Cheesy Quinoa has plenty of cheddar cheese to make the whole family happy. 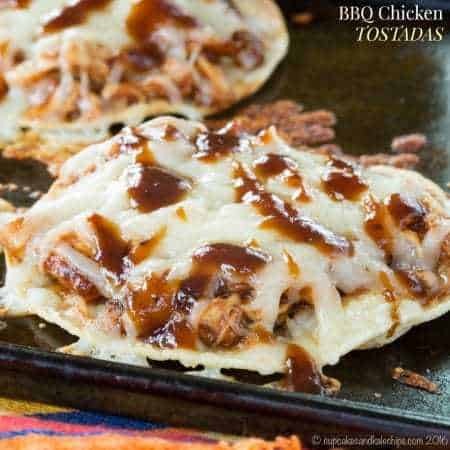 On busy weeknights, pair it with your favorite quick and easy dinner recipes to get a delicious meal on the table fast. It’s a healthy side dish packed with protein and whole grains. Plus, this cheddar cheese quinoa side dish recipe is totally kid-approved. It’s definitely one of the best gluten-free side dish recipes I’ve ever made. My kids have now reached the age where they have become co-conspirators. Sometimes they are conspiring together. Sometimes one is conspiring to use the other to get what he wants or stay out of trouble. But regardless of the circumstances, they have reached the age of parental manipulation. They are 5 and 8. I’m doomed. One wants to watch TV but he doesn’t think he’ll get the answer he wants when he asks mom. He knows his brother would love to watch TV. So he sends his brother, thinking mom might be more lenient with the little guy. One wants to go downstairs for breakfast but knows mom isn’t out of the shower. Technically they are supposed to wait. He asks the other one if he wants to go down for breakfast. Since both of my kids are always hungry, he says he does. So the first one suggests to the second one he should go down, and then the first one tells mom that he only went down because the second one wanted to go down for breakfast. I guess it’s just paybacks. I mean, I’ve been conspiring against them for years. Yep, conspiring to get them to eat healthy foods like spinach, cauliflower, and yes, even quinoa. What’s my trick? Yes, cheddar cheese is the key to convincing my kids to eat quinoa. 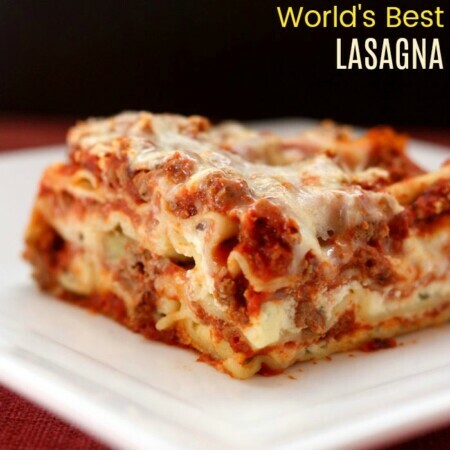 It’s typically not a favorite, but when it is this creamy and cheesy, even they can’t resist. They don’t have to know that it starts with just cooking up plain old quinoa. First, place the quinoa in a strainer, rinse it well, and drain thoroughly. Combine it in a saucepan with twice as much liquid as quinoa. You can use plain water or use a chicken or vegetable broth. Depending on how you plan to use the cooked quinoa, you can also add herbs or spices. Cover the pot and bring to a boil. Then reduce the heat and simmer for about 15 minutes. You’ll know the quinoa is done when the liquid has been absorbed and it becomes tender. You’ll also see the little “tails” of the quinoa. Typically when using the 2:1 liquid to quinoa ratio you will not need to drain the quinoa. 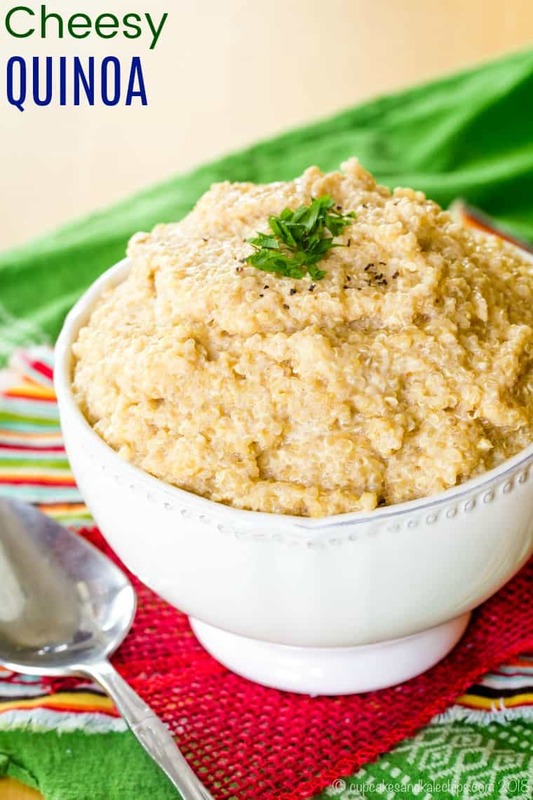 For this recipe, after cooking and seasoning the quinoa, I stir in Greek yogurt and shredded sharp cheddar cheese to make this quinoa side dish recipe. But cooking up a big batch of quinoa is always a good idea. You can sprinkle it on salads, add it to soups, or use it for other recipes. What can you make with leftover cooked quinoa? Mix the leftover cooked quinoa with egg, cheese, and veggies to make Cheesy Veggie Quinoa Bites or Cheesy Spinach Artichoke Quinoa Bites. Add a little extra protein and fiber to breakfast by baking a batch of Cinnamon Apple Quinoa Breakfast Bars or Pumpkin Quinoa Breakfast Bars. 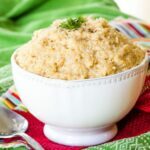 It’s also a great way to make chicken salad extra hearty and satisfying, like Bacon Ranch Quinoa Chicken Salad or Mango Avocado Quinoa Chicken Salad. What do you serve with Cheesy Quinoa? 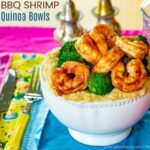 BBQ Shrimp Quinoa Bowls are my favorite way to eat cheesy quinoa. 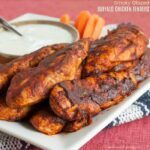 Glazed Buffalo Chicken Tenders have a smoky kick that tastes delicious with cheddar cheese. 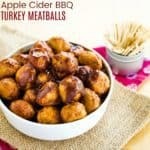 Apple Cider BBQ Turkey Meatballs spooned on top of this quinoa side dish would be a hit with the kids. 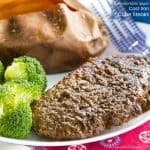 Worcestershire Sauce Cast Iron Cube Steaks are so fast and easy you can cook them while the quinoa simmers. Perfect Air Fryer Salmon from Noble Pig paired with this cheddar cheese quinoa makes a super healthy dinner. 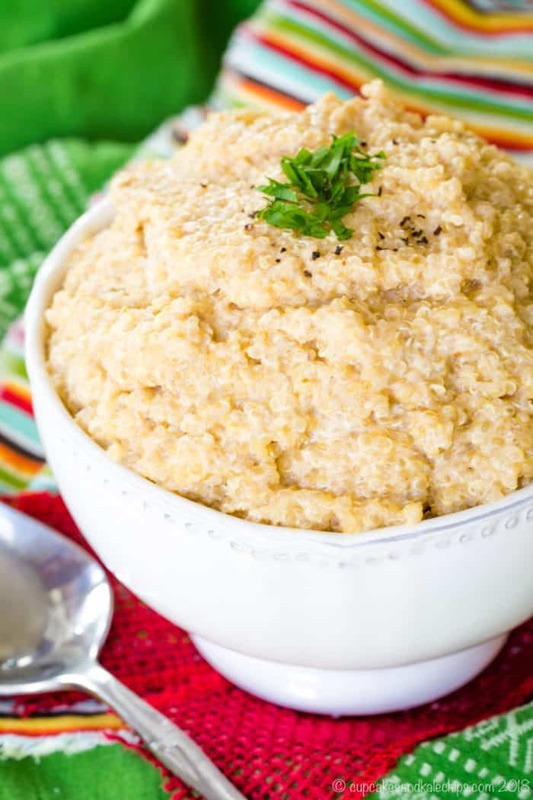 With plenty of cheddar cheese, you’ll have everyone eating this easy quinoa recipe. Made with only five ingredients (plus salt and pepper), and ready in about twenty minutes, it’s perfect for a busy weeknight meal. 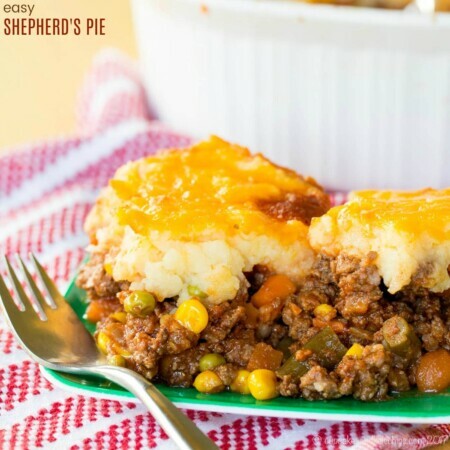 Creamy and cheesy, it’s sure to be a kid-approved hit. 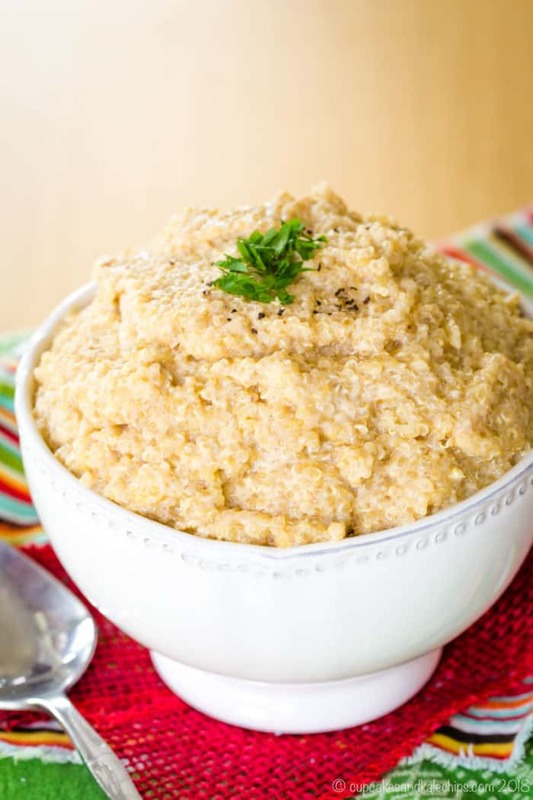 Add this healthy and protein-packed whole grain and gluten free side to your dinner tonight! Combine quinoa, broth, a pinch of salt and pepper, and dry mustard in a pot. Cover and bring to a boil. The reduce heat and simmer as per package instructions, about 15 minutes. 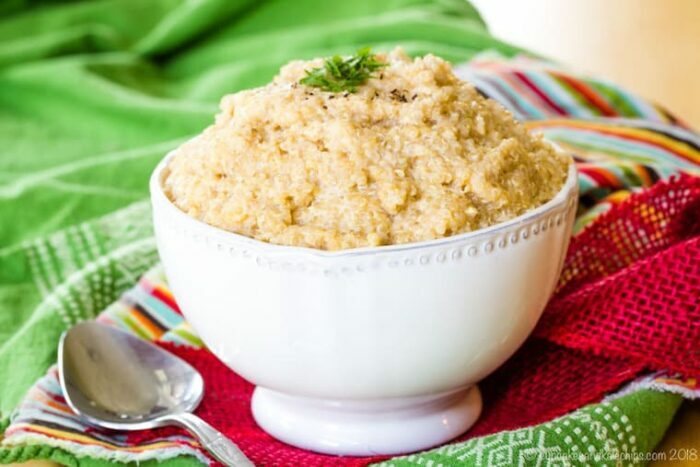 When quinoa is fully cooked, stir in Greek yogurt and cheese.